Minimum of two night stay. 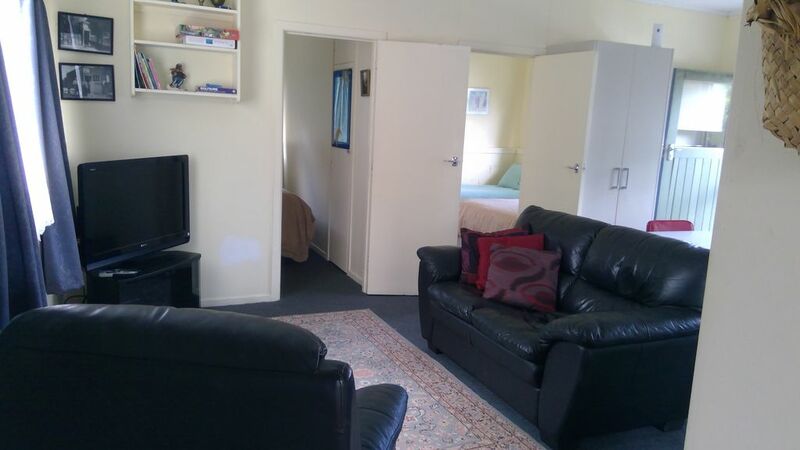 Clean, tidy affordable accommodation for up to six people. Quiet, private location down a driveway behind our home. Self catering - includes microwave, cook top, portable oven and BBQ. Lounge and dining room combined, separate bathroom with shower, separate toilet and laundry with washing machine. A five-minute stroll takes you to the local shops, restaurants, cafes, Tairua golf course, Ocean Beach and the Tairua Harbour. Use Tairua as your base to explore the scenic wonders of the Coromandel Peninsula. Hot Water Beach, Catheral Cove, Whitianga, Whangamata, Thames all within 45 minutes by car. Lovely and homely, had a great sleep. I would definitely book it out again. The kiwi Bach was in the perfect location everything we needed was there and Han and Craig were very helpful. Will be back for sure.